We describe a patient with reactive arthritis (ReA) induced by influenza vaccination. A healthy 79-year-old Japanese man began suffering from migrating polyarthritis 2 days after receiving influenza vaccine. He proved negative for rheumatoid factor, showing no evidence for microbial infections such as Streptoccocci, Chlamydia, or Parbovirus B19. Human leukocyte antigen (HLA) typing analysis revealed positive results for HLA-B54 (22), which is one of the cross-reactive antigens to HLA-B27. His arthritis improved with administration of nonsteroidal anti-inflammatory drugs, and recovery was attained within 6 weeks. 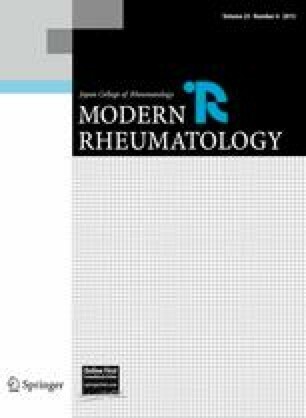 Reactive arthritis is a rare adverse effect induced by influenza vaccination; however, it is important that it is recognized by all physicians.